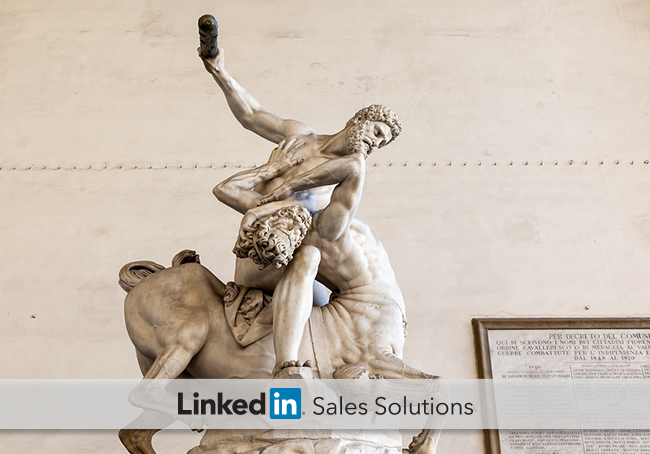 Master the Labors of Sales and become a stronger salesperson with this LinkedIn sales tactics guide inspired by the mythological hero Hercules. Last week, the live-action Hercules film debuted worldwide in theaters, modernizing the mythological tale and reintroducing the world to the hero’s godlike abilities. In the original Hercules legend, the hero mastered twelve labors that were thought impossible for man as penance for past crimes. Hercules’ tale has been recounted for centuries, representing complete triumph over the most challenging situations. Still, Hercules probably wouldn’t be able to manage a sales portfolio without a little help. Today, sales reps are constantly battling their own labors. Let’s take lessons from Hercules when aligning our sales tactics. Here are a few of the Twelve Labors of Hercules, and how each labor can be tied to your sales strategy. Hercules’ first labor was to somehow slay the Nemean lion, whose fur was impenetrable. After trying to attack the lion directly with arrows, Hercules eventually succeeded by sneaking up on the beast and defeating it with his own hands. Where other heroes had fallen to the lion, Hercules was able to use his resources to defeat it. 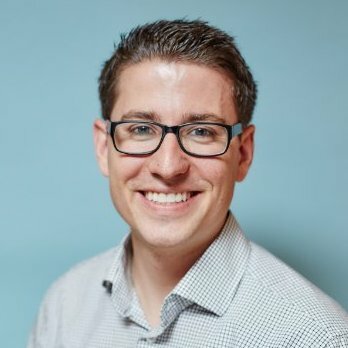 What does this mean for my sales tactics? It all depends on how much interest your prospect displays before the sale. If they are unsure about your solutions, the process becomes much more challenging. You’ll need to break that armor of ambivalence by finding a new direction to peak their interest and attack their concerns. Loop in like-minded connections with lead recommendations and referrals from your TeamLink network. If there is a trusted intermediary, the chances of landing the sale are greater. Adjust the priority of factors for your lead recommendations. If you’ve been focusing on seniority, try switching to focus on function. There may be crossover, but you might also find new pathways to the prospect. One of the most well-known of Hercules’ labors, this one saw him fight the nine-headed Hydra whose heads grew back once removed. Despite this, Hercules and his nephew used a firebrand to stop the Hydra’s heads from re-growing. The tale is often told to symbolize the triumph over hopelessness. Managing multiple prospect communications at once can be challenging, especially if there is no automated system to organize and sort your leads. Closing one sale can open up several new connections, but you need to be prepared to act. Utilize the Daily Sales Updates Email to track updates directly from email. Each of Hercules’ labors becomes increasingly difficult – after slaying the Lion and the Hydra, he is now tasked to capture the speedy deer of the goddess Artemis. Hercules chased the deer for over a year, eventually capturing it with a trap net while the deer slept. Managing the instantaneous nature of social based selling can seem like an endless chase, but there are ways to make the most of your time. Identify the parts of the day where you are most productive and least productive. Understand your natural cycle over the course of the day. Prioritize, prioritize, prioritize. Know which events matter the most – conference, internal company gatherings, product roll-outs, etc. The Erymanthian Boar was a towering figure, living on a mountain and attacking everything in its path. It was a long-standing plight for heroes to defeat, but Hercules was able to make quick work of the large animal. After chasing the boar around the mountain, he drove it into deep snow and trapped it in a net. Fighting in snow was exhausting for the boar, as it quickly drained the beast’s energy. There are still some towering, long-standing practices in sales that need to be moved out of their natural habitat. Cold calling is perhaps the most well-known – and it’s pretty much dead at this point. Leverage TeamLink to get warm introductions to your prospects. Take advantage of LinkedIn groups to form connections with and gain insight into new prospects. After traversing the land and slaying/capturing various mythical creatures, Hercules’ next task was to … clean a stable? Indeed, Hercules was tasked to clean the many herds of cattle, bulls, sheep and horses in King Augeas’ stable in a single day. Hercules created large trenches to drive river water into the stables, flushing out the mess within. B – Beliefs: What does the decision maker believe about you? E – Evaluate: What is this person’s evaluation process? N – Needs: What are the pressing business needs? D – Desire: What do they strive for on a personal level? W – Wounds: What mistakes or errors in judgment have they made in the past? I – Interests: What do they like to do when away from the office? M – Mentors: Whose opinions do they value most? P – Proud: What accomplishments are they most proud of? In the Greek legend, the Amazonian women were fierce warriors led by Queen Hippolyta. Hercules was tasked to take Hippolyta’s belt, a gift from the war god Ares that identified her as the best Amazonian warrior. Hercules initially convinced Hippolyta to relinquish the belt willingly, by sharing the tales of his previous exploits. However, treachery by the goddess Hera forced Hercules to slay Hippolyta for the rights to her belt. Let’s just skip that last part of the story, and focus on impressing prospects. Hercules was nearly able to acquire the belt by impressing Hippolyta – and leaving a good first impression is critical in social-driven sales. Post and reference content that creates a trail for prospects to follow. This helps the initial impression seem less sudden, as they will have read information directly related to your services. Are you in a LinkedIn Group? Great – now join about a dozen more. Ask questions within the group – an inquisitive mind will attract new connections which can be tracked via Sales Navigator. These are just some of the trials that Hercules overcame during his quests, ultimately helping to establish the legend that still exists today. If you’re feeling like you have your own set of social selling labors to overcome, check out how LinkedIn can better automate the process.